Intelligence, eagerness to please and friendly. 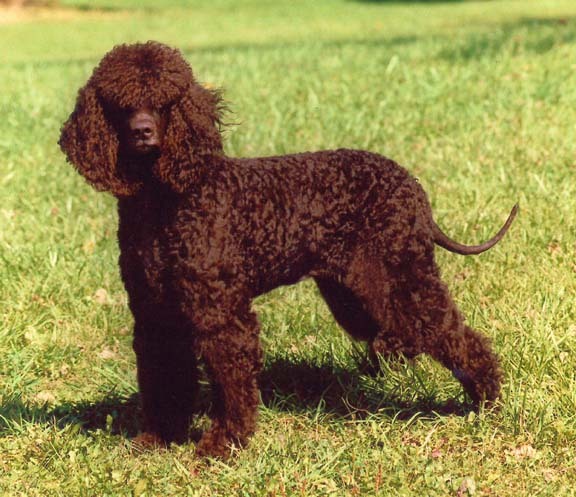 The American Water Spaniel has energy and eagerness for the hunt yet controllable in the field. The Brittany is happy, alert dog, neither shy nor mean. Intelligent and obedient dogs with a mind of their own. 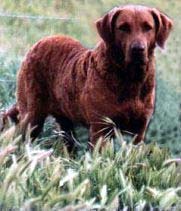 The Chesapeake Bay Retriever is courageous, willing, loving and trainable although they may be a little slow to learn. Gentle, loyal and affectionate dog, with an intrinsic desire to please. Intelligent and independent thinker, displaying determination and a strong sense of purpose while at work. 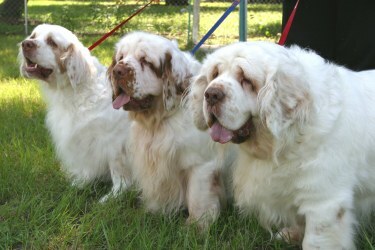 The Clumber Spaniel has a playful and loving nature. Capable of considerable speed, combined with great endurance. 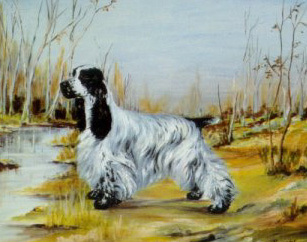 The Cocker Spaniel is equable in temperament. Self-confident, steadfast and proud, charming and gentle family companion. 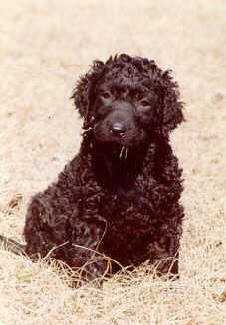 The Curley-coated Retriever is a determined and durable hunter. The Curly is eager, persistent and inherently courageous. At home, he is calm and affectionate. 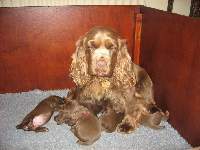 English Cocker Spaniels are gentle and affectionate, full of life and exuberance. 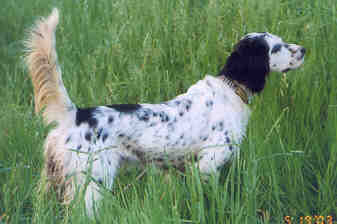 The English Setter is affectionate, gentle, , friendly, without fear or shyness. 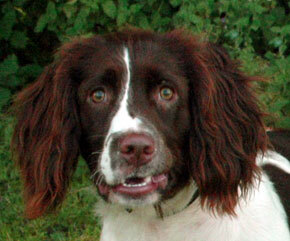 The English Springer Spaniel is friendly, eager to please, quick to learn and willing to obey. Combination of beauty and utility. 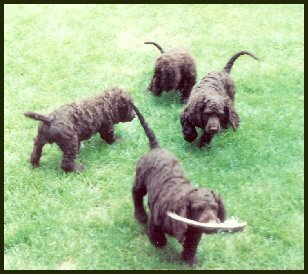 The Field Spaniel is well balanced a substantial hunter companion of medium size, built for activity and endurance in heavy cover and water. The Flat-Coated Retriever is a responsive, loving member of the family, a versatile working dog, multi-talented, sensible, bright and tractable. 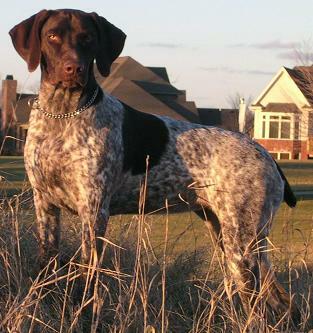 The German Wirehaired Pointer has a reliable sound temperament, at times aloof but not unfriendly toward strangers; a loyal and affectionate companion who is enthusiastic to learn and eager to please. 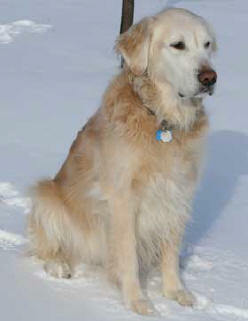 The Golden retriever is friendly, reliable, and trustworthy. Rollicking personality. 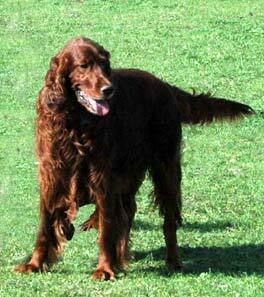 The Irish Red Setter has an outgoing, stable temperament. The Irish Water Setter is very alert and inquisitive, reserved with strangers. Highly intelligent, alert, outgoing, and ready for action. Affectionate and loving with family members and is good with children, showing patience. 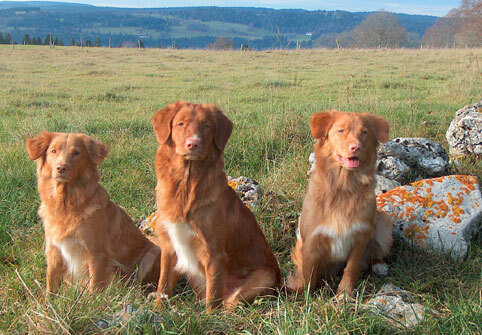 The Nova Scotia Duck Tolling Retriever's strong retrieving desire coupled with his love of water, endurance and intense birdiness, is essential for his role as a tolling retriever. 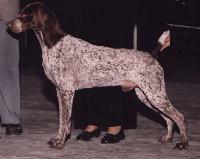 The Pointer is even temperament and alert good sense make him a congenial companion both in the field and in the home. Vigorous and robust. 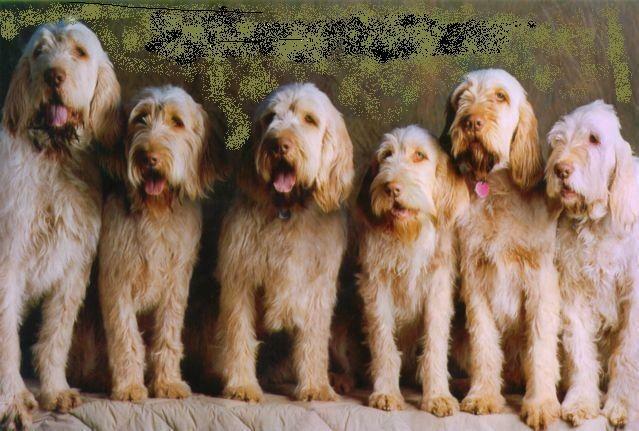 The Spinone Italiano is naturally sociable, docile and patient. 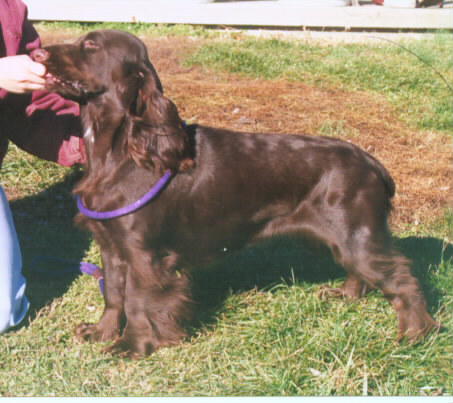 The Sussex Spaniel is friendly and has a cheerful and tractable disposition, despite somber and serious expression. Lively, gentle-mannered. affectionate and sensitive. Fearless with a well developed protective instinct. 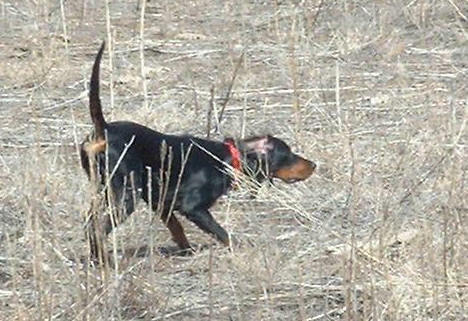 The Visla a natural hunter endowed with a good nose and above-average ability to take training. Friendly, fearless, alert and obedient. 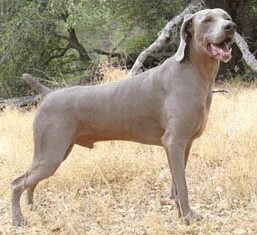 The Weimaraner is sometimes stubborn. 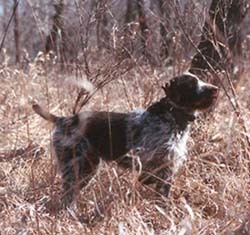 Active dog, a loyal and affectionate devoted family member and hunting companion. 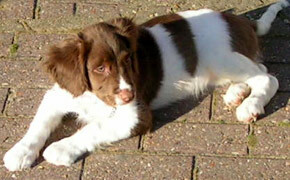 The Welsh Springer Spaniel is reserved with strangers, he is not timid, shy nor unfriendly. Quick and intelligent mind and is easily trained. 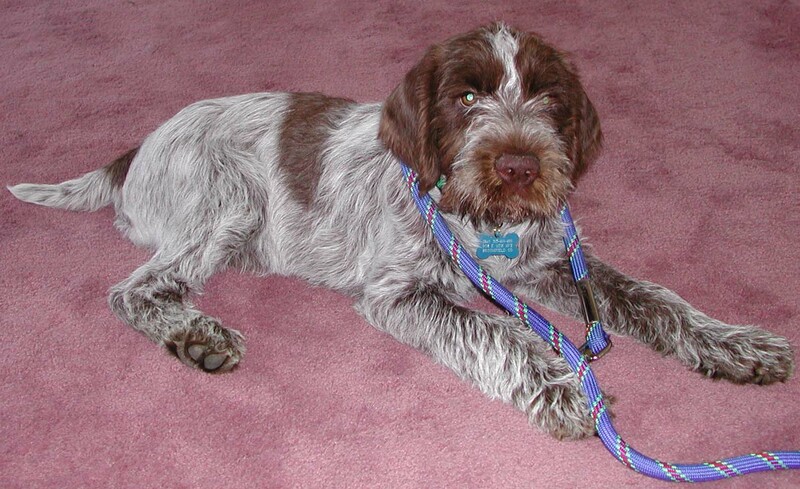 The Wirehaired Pointing Griffon is outgoing and shows a tremendous willingness to please. 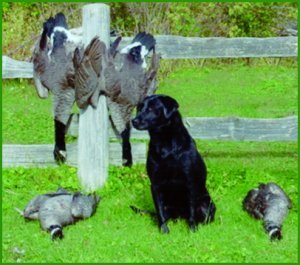 Trustworthy makes an excellent family dog as well as a meticulous hunting companion.